Professional, personable and passionate, the surgeons and staff of Wilmington Plastic Surgery are uniquely qualified to help you realize your personal best.  Wilmington Plastic Surgery is among the most renowned cosmetic surgery practices in the Southeast, with four board-certified physicians who are not only exceptionally well trained and highly skilled, they are extraordinarily passionate about their work and compassionate with their patients. As a result, perhaps more than any other practice in the region, Wilmington Plastic Surgery inspires trust and confidence in patients who are considering all types of cosmetic and/or reconstructive procedures—from simple topical treatments to state-of-the-art cosmetic surgeries. Don’t trust your body to just anyone. Talk to the premier physicians of Wilmington Plastic Surgery.